GBHS teacher Lynn Guerne decided to build a tiny house in her own backyard. Although at face value French Teacher, Lynne Guerne’s new house may seem small, but the journey to build it has been anything but that. Guerne’s tiny house is portable and simple at first glance. After watching “Minimalism: A Documentary About the Important Things” and seeing the new tiny house trend take over HGTV, Guerne first got the idea of building her future home. After talking with her son who lives in Colorado, Guerne decided to build a tiny home of her own. The next step in her process was to figure out how to even build a home. “Prior to doing this I had never used a saw before, I had never used a nail gun, I had never of done any of those things,” Guerne said. 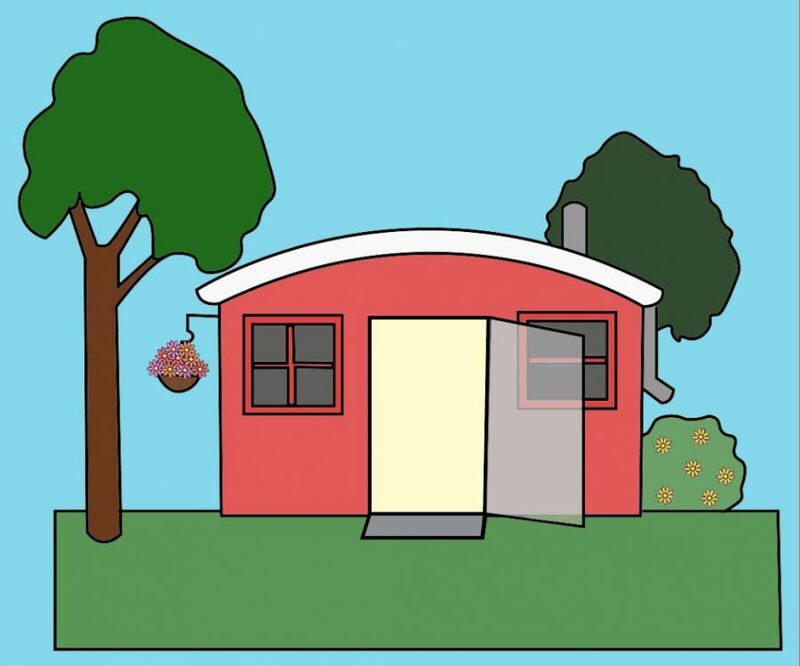 In need of inspiration, Guerne looked for a workshop to help her learn how to build a tiny house. 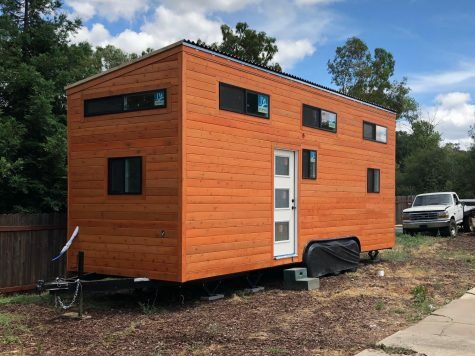 She ended up attending a weekend workshop out of curiosity and “there were all these people at the workshop who had built their own tiny houses and I thought well if they can do it, so can I,” Guerne said. With the help of friends, Guerne has been able to build her tiny home. “I was one of the first people who would go to Home Depot with her and we would pick up lumber,” said Spanish teacher Jill Cova. Spanish teacher Ben Soper also helped Guerne with the foundation of her home. 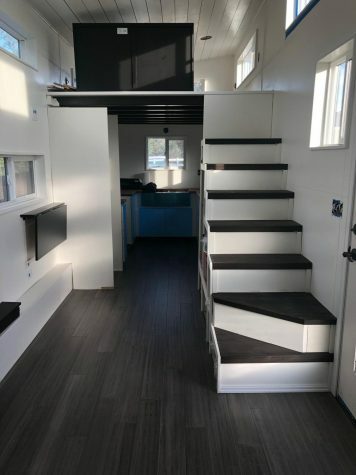 The inside of the tiny house is white and black, minimalist and clean. “I helped her a lot at the beginning to get her trailer frame set up correctly and basically the foundation started,” Soper said. Guerne has had lots of help throughout the whole experience. “I’ve had one of my students’ moms volunteer a friend of theirs and he has come to help me,” Guerne said. For the more important and crucial aspects of her home, she has hired contractors to ensure the job was done correctly. “I’ve hired out a couple of things, so I’ve hired somebody to do the sighting and the roofing for me and I’ve hired somebody to put in all the kitchen cabinets for me to make sure those are all done correctly,” Guerne said. Guerne has had some complications during the time she has spent building her future home. “I’ve had walls fall down, I’ve had plumbing that didn’t go right,” Guerne said. However, all of these obstacles are going to pay off very soon. Guerne says she believes her tiny home will be done this spring, there are just a few more pieces to finish.